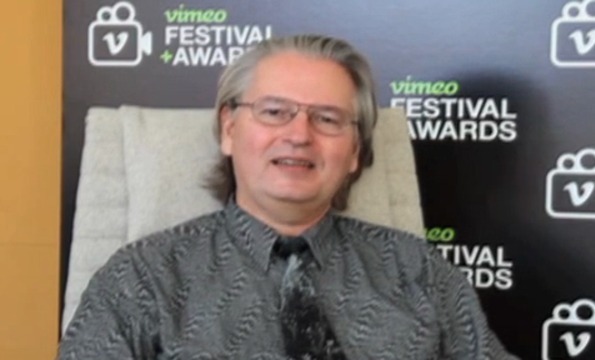 About a week ago I had an email interview with Bruce Sterling, presented below unabridged. Gunhead: Hey there. I don’t know if you still check this email account (considering it was probably made before I was). I’m a high school senior, and I consider myself a second-generation cyberpunk. I was working on an online English assignment when they gave me an assignment to interview someone from a subculture I’m interested in. I considered a few others, but I noticed that you were consistently the most involved in the actual Cyberpunk community. Now of course I’m not going to ask for an interview and just keep it to myself- If I could publish it on Cyberpunk Review or even via bittorrent that would be great. Information wants to be free, after all. Let me know if you’re considering it but want to change anything. I’m open to ideas. Bruce: What seems to be on your mind, person born after I had an email address? Gunhead: One of the biggest things the community has been talking about is the possibility that modern life resembles cyberpunk fiction closely enough for the literary genre to become obsolete. What’s your take on this, and how do you think it’s affecting/will affect cyberpunk literature? Bruce: Well, there’s really no way that modern life is ever going to much resemble, say, Rudy Rucker’s mathematical visionary cyberpunk fiction. Nobody says the the world is getting more like a Pat Cadigan novel. I don’t see this as a serious problem. No literary movement ever became obsolete because their novels were too realistic. 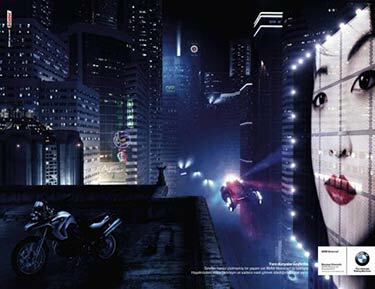 The world looks a lot like cyberpunk fiction in modern Russia, and they never cared much for cyberpunk. I’d say that the people most interested in cyberpunk right now are probably Brazilian and South African. And I suspect that’s because their societies have hit a level of technical transition where people are surprised and excited to see a lot of “cyber” things going on. People in other countries who might have been cyberpunk writers no longer care much about anything “cyber.” They likely don’t have a lot of time on their hands to write novels. It takes a particular set of historical circumstances to nurture a movement like that. When so many magazines, newspapers and bookstore chains are “obsolete,” and when manual typewriters are unheard of, you can see that the culture that created cyberpunk in the early 1980s is itself obsolete. It’s not that the books were somehow too prophetic, it’s that the circumstances of making books have changed. Gunhead: So in that case, do you see the rest of the subculture such as the fashion, movies, and music surviving without it’s traditional literary component, or do you think it will have to create something new? Bruce: Well, clearly the literary component is in somewhat less trouble than movies and music. All of these enterprises which had roots in analog means of production and distribution have similar troubles. *The trend is toward a culture which isn’t even aware that it’s a “cyberculture.” Once everything is “cyber,” nothing is “cyber,” and cyber gets commonplace and boring. *Science fiction writers have commonly had strong interests that aren’t “traditionally literary.” If you study what, say, Cory Doctorow is up to for even a week, it’s clear that he’s not a very author-like guy, even though he’s a best-selling author. Neal Stephenson likes to work with his hands in rocket labs and fabrication facilities. William Gibson designs and sells performance clothes. I hang out with industrial designers and Augmented Reality people. It’s very difficult to divide a functional cyberculture up into its previous components. Those components have been mashed-up. *Steampunk seems to manage rather well with quite a minor literary component. There are some steampunk novelists, but they’re not really considered the creative leading lights of that scene. It’s hobby technologists and social-networkers who set the pace for steampunk. Gunhead: If that’s the trend the general public is following, then wouldn’t the obvious counterculture reaction be gaining awareness of “cyber”? Obviously these days the more you know about networking the more power you can wield, and we’ve been seeing a few revolutions because of it- Do you think Cyberpunk will become more about the politics and the technical aspects, like in Little Brother by Doctorow? *No, not really. A counterculture is like the shadow of a culture, it’s not the polar opposite of a culture. It’s like imagining a counterculture without electricity. Once you’ve got reliable electrical power, it’s no longer a revolutionary intervention (like electricity was for Lenin). Even hippie communard dropouts had electric guitars. *Well, Little Brother is mostly about labor unions. Maybe old-fashioned industrial labor unions, which have been in decline for decades, will be re-framed as radical social networks. I wouldn’t claim that Cory is forecasting the inevitable, but it seems at least plausible. Gunhead: Interesting thoughts on that. While the community has been constantly trying to define the term “cyberpunk” and learning to deal with the book drought, other aspects like fashion and movies keep evolving. 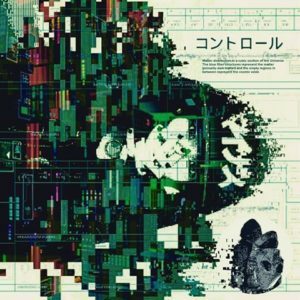 More bands and musicians are describing themselves as Cyberpunk now than before- It seems we’re moving in the direction of a traditional subculture. Do you think it’s ever going to take off with the kids in the same way that say, the Goth subculture did? Bruce: I don ‘t think Goth ever did “take off.” Goth had elements of very old counterculture behaviors and it’s better to say that Goth persisted. There never were very many cyberpunk “kids.” The guys inventing cyberpunk in the 1980s were adults in their late 20s and even mid-30s. Teenagers read it, but it wasn’t pioneered by teenagers. Brian Eno says that popular culture evolves through one “scene” misunderstanding and adapting the goings on in some distant “scene.” There is a classic case of that with Lauren Beukes, who is a Cape Town music journalist who had a child and decided to try writing cyberpunk novels. Lauren really gets it about cyberpunk, and also about “township tech,” which is a kind of South African techno music. But for work invented in Vancouver and Austin and San Francisco, to find a strong echo in Cape Town or Sao Paulo or Belgrade — a thing like that is impossible to predict. It might happen, or it might not happen, or it might happen and have another name entirely. There are plenty of critics who see “cyberpunk” as a distant belated echo of London New Wave SF. Maybe it was ever thus. Gunhead: Maybe. Thanks for your time Bruce, it’s been a pleasure talking to you. Anything to say for the folks at Cyberpunk Review? *That’s why I like to talk directly to writers instead of just reading novels, and hey, in about eight days we’re having yet another writers’ workshop here in Austin, cradle of cyberpunk. This post has been filed under Uncategorized by Mr. Roboto.